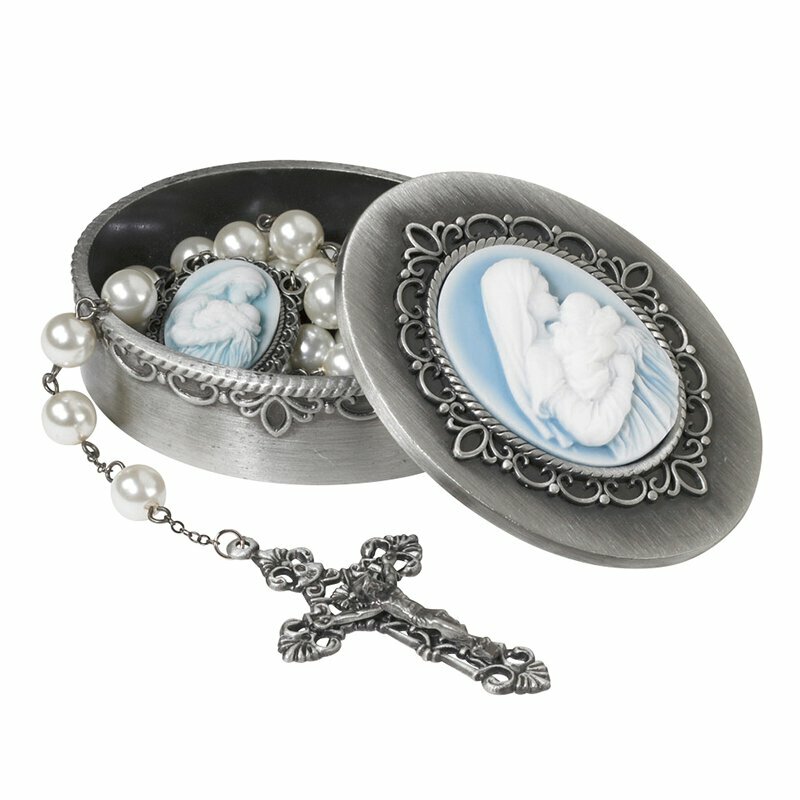 Our Rosary Box of Mary and Child Cameo Collection, honors the special bond of Mother and Child. The artistry of Michael Adams' Mother's Kiss is brought to life with a high level of detail and the ability to capture the essence of the bond only a Mother knows. This piece in the collection is artfully designed as a depiction of Mary's beauty and grace. 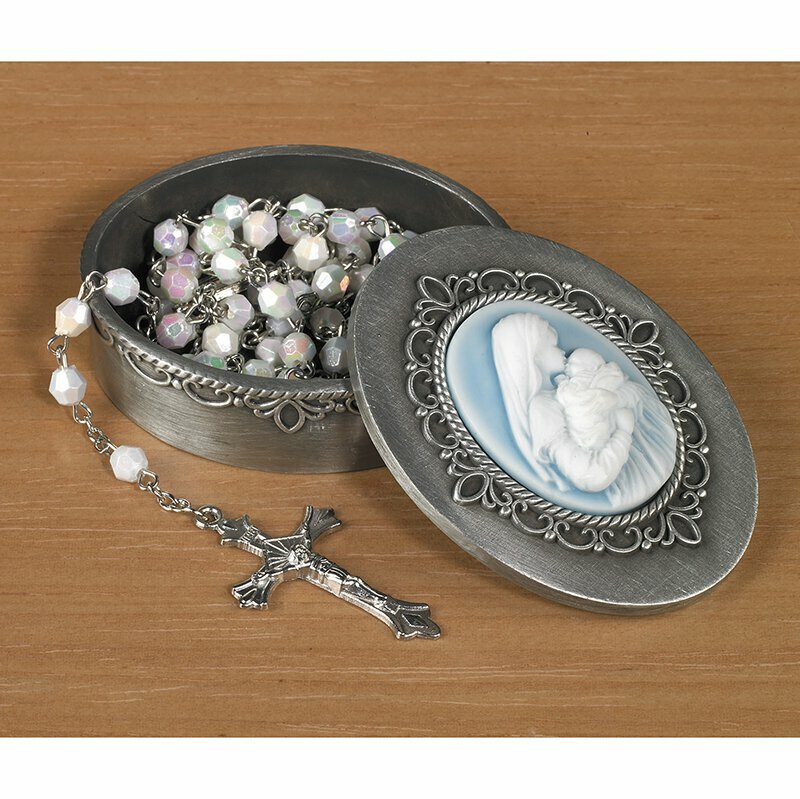 Its richly crafted and detailed style has been inspired by vintage jewelry and is sure to become a treasured heirloom. Comes in an elegant gift box.